Put a modern twist on your classic pearl ring with this two-tone piece! 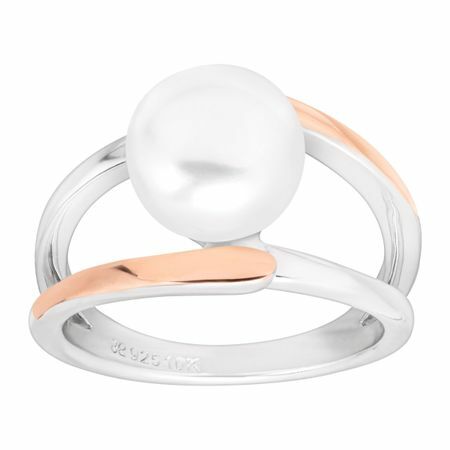 This double-band ring boasts a 9.5-10 mm freshwater pearl in a setting of sterling silver and 10K rose gold. Ring face measures 7/16 inches in width.